Carlos Surinach Interview with Bruce Duffie . . . . . Living in Chicago, it is relatively easy to see and hear most of the important musical figures as they come to town to play or conduct or experience their works. We have world-class professionals in the Chicago Symphony, Lyric Opera, and many smaller groups too numerous to list here. Plus, we have a reputation for being a nice place to perform, so guest artists are even more inclined to visit and make music with our groups and for our audiences. And since so many artists come to the Windy City, I have had the opportunity to meet and chat with a lot of them over the years without doing much traveling of my own. In fact, my out-of-town itinerary remains small; aside from four visits to China and two to Alaska, I can truly say that I don't travel very much. But when I do, I try to pick up a few interviews along the way, and those have made their way to my radio programs and occasionally into print. Then there is one other small group whom I've conversed with on the telephone. A few significant musicians, usually older, who don't travel much or have reduced their wanderings as their age creeps up. One such luminary is Carlos Surinach. He'd not been in Chicago in many years and indicated to me that his plans did not include a return visit. So in 1987, we arranged to spend an hour on the phone doing the interview. He was glad that I'd initiated the contact and was pleasant and forthcoming with his responses. Bruce Duffie: I'd like to talk a little bit about your life, quite a bit about your music, and about your views on music today. Carlos Surinach: Oh, about my life... I studied composition and conducting, and I have been in my life both. However, conducting passed away years ago when I discovered that I didn't have the health that a conductor needs. But that's about 25 years ago. Since then I have done exclusively composition. BD: During that time did you also do any teaching? CS: I have done only two times teaching. One year I was in the Carnegie-Mellon University, as a visiting professor for composition, that was '66-'67, and then another year in the same capacity in Queens, New York. That was in '72-'73. These are the only two years that I have taught in my life. And I like it very much, but it absorbs so much of you that if you teach, and you are a conscientious teacher, you don't have really time to write music as much as a professional should write. Those kids absorb your brain, or anything you have, [chuckles] you know? BD: Yes. Is musical composition something that really can be taught, or must it be innate from within each young composer? CS: Well, it can be taught if the student has something in him. Then you can help him a lot. But if the student has no imagination, or, let's say, if he's no good, but he's willing, there is very little you can do. BD: I see. Then where is the balance between inspiration and technique? CS: Oh, that's a big question. But I must tell you, with or without balance you must have both. BD: I see. They are inseparable. CS: Yes, you need both, because technique without inspiration, you become a very, very cold thing. People like to be told directly, not to the brain only. They like to use the brain, of course, but they like everything. BD: I see. Now in looking over your biography, you studied in Barcelona, and then you also studied in Berlin. CS: Yes, in Berlin and in Köln. BD: It also mentions that you took some seminars with Richard Strauss. CS: Yes, a seminar of five sessions. It was very stimulating, very, very extraordinary. And it was extraordinary to know that that man writing that superb music was a great admirer of another superb composer, and he spoke mostly about him always, and about his techniques, and that was Mozart. Very strange, because his music doesn't have much of Mozart. I mean, you don't see the relationship. But that was one of the great moments of my life. He was already, then, considered a genius, like the continuation of Wagner, and I learned that you can continue some other composer, and still be a great composer yourself. BD: If he is continuation of the Wagner line, whose line are you continuing in your compositions? CS: Oh, well, Spanish music has been always a music influenced, technically, by the French, and the large part of my education was in Germany. So I decided to take the German system, if there is a system, because the German system is more universal than the French, so it's much less dangerous. And then, being more universal in my way of writing, I thought I could be more of my own language. It would interfere with the technique much less than with the inspiration. Since you spoke in those terms, I am answering now the same way. You understand what I mean? BD: Yes, of course. In one of the books, it says that your German training provided a structural integrity which is rare in Spanish music. Why is it rare? CS: I don't know; ask the one who wrote it. [Laughter] You are not always responsible for what they write about you. BD: I just wondered what your interpretation of that idea might be. CS: It was not me who thought of that, it was the writer. BD: Do you feel it's accurate, then, or is it a mistake? CS: [Takes a deep breath] Well, it's very difficult to ask whether something written about you is accurate or not. BD: That's quite all right. You've composed primarily music for the ballet; is this correct? CS: Well, yes and no. [Pauses for a moment.] Quoting Cervantes, the great Spanish writer, he said, "If you are born Italian, you sing; if German, you play; if Spanish, from the moment you are out of the womb, you want to dance." It turns out that my music, even the most serious pieces, all suggest, in some way, dance. Most of my works have not been written for ballet, but they nevertheless were taken by choreographers, and they made a ballet out of them. BD: So you didn't intend for it to be balletic. CS: Not all. But naturally Martha Graham gave me three commissions, and there were commissions by the Robert Joffrey Company, by the Paris Opera, and there were commissions by Antonio in the Ballets of Madrid. But if you count numerically, I have twenty or thirty percent more works that were not at all written for dance. But I have applied that idea of Cervantes to myself. And the dancers, the ballet companies, nowadays, can dance anything. [Chuckles] So they can dance my music, too. BD: Do you write any differently when you know it will be a ballet, or if you think that it will only be for concert? CS: No, not much. Only if you think about the libretto. When there is a libretto, or a story; of course you must adapt yourself when this is a commission from a choreographer. You must adapt yourself to what will happen on the stage. But if the choreographer is the one who picks up your music, then that's his business. As far as they don't modify the music, it's all right. BD: So you don't permit any modifications in your score, for the dance? CS: Unless it's done by myself, and with my permission. But never anybody has touched my music. No, I wouldn't allow that. BD: Have you gone back and revised any scores? BD: [With sincere surprise] My goodness! CS: ...and I write the final score, where from, many times - most of the times - it will be published directly. And I never do any change, because if you do a change, because of that change you may need another change, and the other change may drive you to do another change. And then the work, obviously, loses its spontaneity. BD: When you put this all down on paper, have you thought about it in your head, and heard it in your mind's ear? CS: Oh, yes, yes. Yes, yes. I was a conductor, and I always conducted by memory. I have a good memory. Or I had. I mean, I beginning to grow a little old to speak so favorably about my memory. I had an extraordinary good memory. Don't misunderstand me, that doesn't mean that you are a good musician or anything; good memory is simply good memory. BD: When you were conducting, were you the ideal interpreter of your own works? CS: Not always. Not always. For instance, I have been lucky to hear Melorhythmic Dramas led by at least ten different conductors. Some were bad, and some were extraordinarily good, with thoughts on my own music that could have been mine if I had had more talent. BD: So conductors have found things in your music that you didn't even know were there? CS: Well, no, because the things basically were the same, but with another elasticity, or with another point of view. But the same notes and the same fortes and the same pianos, and everything the same. That's the amusing thing of conducting. And had I not been a conductor for a long time before composing so much, I wouldn't have learned so much for composing. You learn a lot by conducting the music of the others. And that's understandable, I think. BD: Every time you would pick up the baton it would be like another lesson. CS: Yes, and sometimes you also see what you shouldn't ever do! BD: Certainly. I'm interested in what's on your mind. CS: There have always been trends, fashions, styles of music. We had Mozart and Haydn, then came another period with Beethoven, Schubert, etcetera. Then the big period of the Romantic opera, with Wagner, and Brahms was attached there, even if he didn't write any opera. And then Strauss and Stravinsky. And I think those were trends of about fifty years each. BD: These are the milestones. CS: Yeah, right. Then, around 1910 or 1911, or '13, or something like that, Salome and Petrouchka arrived, and since then, those trends have been about ten years long. And none has the consistency of the fifty-year periods before. Am I clear? CS: But I am absolutely serious that the Psalm Symphony and Petrouchka, and Firebird, and Sacre du printemps, those works you will hear forever. BD: Well, are you generally optimistic about the future of music? CS: I don't know. Stokowski told me if only we would be able to divine the future, we all would be geniuses and millionaires. CS: That's a quote. Nobody knows what the next fashion will be. And fashions are in many things, even in diseases. [Laughter] I have a book in Spain about the fashion - a book in seven volumes, I don't remember now who wrote it -that says there is a fashion for everything in life, since the time of the Greeks and the Romans and the Egyptians. And if only we would know, now, what will be the music fashion fifty years from now, I would write in that fashion. [Laughs] And probably I might forget even my personality, if I have any. BD: So you would write for the public, then? Or write for public taste? CS: I do write for the public, and I think it's a thing everybody should do. I was at a university in Minnesota giving a lecture, and they told me that the previous week, Elliott Carter had given a lecture, and he had said exactly the contrary of all I was saying. I think to compose music should be like writing a play, where you play with the audience, you cheat them, you let them know the unexpected. You play with them. The audiences adore the surprise, they adore the unpredictability. BD: But it seems that today, audiences tend to favor works that they know, rather than new works. CS: Sure! Sure! Sure! None of those works of the trend since 1910 have had the consistency of the 50 years before. Neither the audiences nor the performers like the contemporary music as much as they like the music of the past. Imagine, for instance, as an example, a prominent, great pianist, a young, great pianist of nowadays, like Ashkenazy. Would you imagine if he would be involved with electronic music? [Shouts] No!!! He plays so beautifully Chopin! This is why also my music follows a tradition in a different way, as I told you. And that's on purpose, because I say, like Francis Poulenc, whom I knew very well, who said, "I adore Boulez, but my music is 'do-re-mi-fa-sol'." So I would like to say not as plain as "do-re-mi-fa-sol," but almost. And you can be very contemporary, avoiding noise, real, sheer noise, you know? BD: It seems, though, that we have drawn an artificial line between concert music and the so-called popular music. Is this a mistake on the part of the public? CS: [Thinks for a moment] I think that has been throughout the history. The polkas and mazurkas, and the tangos of 1890 were another world from the music by Beethoven and Brahms, and all that. I think that has happened all the time. It is not the rock and roll that disturbs me that much. It is the pretentious, noisy serious music. That's the major thing. The jazz and rock and roll, and all the music that emanates from popular thoughts, that's all right. There are very, very good pieces of country music and rock and roll, but within their limits, within their ways. That's my thought. We cannot compare. It is another thing, another art, another profession. But that's no sin! The people need to hear music without listening it, from time to time. Everybody. Don't you think so? BD: [Confused] They need to hear music without listening to it??? CS: To hear music without stopping and listening. I mean, they may be talking, they may be distracted mentally with something else, and the music is going on, and they don't pay much attention. That's the mission of the light music, I think. BD: I see. I see. Well, what should be the mission of concert music? CS: That's much more intellectual. You are supposed to go there and listen. Hear, and listen, both. And even, if possible, to follow the score, if the score is available in a shop and they have it, because the score also helps to see the ideas graphically. I have been living in New York for a long time, and I've not seen many people at the Met with a little light following the score! In Europe - at the Opera in Berlin and Munich, at La Scala, at the Paris Opera - you see that all the time, particularly the people that sit high in the theater. These are the people that have less money, and many of them follow the scores, particularly in Wagner, or some modern scores, too. BD: But shouldn't an operatic experience also be the theatrical experience with your eyes? CS: Sure, sure, but they know that by heart. They have read that, and nevertheless they watch, and they hear. They do both things. Like the ballet-theater, as far as there is a stage, it is the stage, principally, who should command the action. But nevertheless the music is tremendously important. It is the element that underlines the action. BD: Since we're talking about stage works, let me ask you about your opera. CS: Oh, yes. Don't talk about it. That was a flop. I don't know if it was justified or not, because there were things strange to my writing that made the flop. Anyhow, though, I became afraid of doing operas myself. But the ballet was a natural development. BD: When you write your pieces, are they all on commission, or are there some pieces you just feel you must write? CS: I have recently written a piece which is not quite finished - it was just submitted to the proofreader - for the first time in my life which is not commissioned. I have been paid for all the previous ones, some more than others, but nevertheless, it was the idea of someone else or a foundation which asked me to write it. This last one is a symphonic piece, and I will not yet make the name public because there are people who might imitate it. That happens, you know. BD: Sure. Of the many offers you've received, how do you decide which commissions you will accept and which commissions you will decline? CS: I have declined very few, because they all were made by important people, or by important institutions with an absolute promise of doing it at a date. This is very rare, and you never scorn that. BD: The guarantee of performance is very important. CS: Sure! That guarantee of a premiere is important. Performances after the premiere may come automatically, and to some pieces they don't come at all. BD: Which is more difficult, then - the first performance or the second performance? BD: [Laughs] No, of course not. They want repeat business. CS: Sure! And we do, too, of course. BD: How much do you, as a musician, get involved in the business end of the music? CS: In the business? [Clearly taking great exception to such a prospect] I am not in the business of music. BD: So you're not involved in at all? CS: [Again, repugnantly] No! Oh, no, never. For all those years, all I have done is sit at the table with a piano nearby, and not always a piano is necessary, and write music. That I have done since I came to America. And I conducted some records, about fifty recordings in America, with MGM, some with Columbia. They are practically all out of print. There are also some on Montilla, that was a Spanish label that did a great good for the Spanish music in this country. I conducted records of other composers' music, and I conducted all the pieces I could of mine, which, I mean, it's human. CS: The charity begins home. BD: Is the musical public in America different from the musical public in Spain? Or in Germany, or in France? CS: [Thinks for a moment.] In this moment, and is very sincere, I would like to pay a great compliment to America. In this moment, in no place the public understands music, and is educated about music so much as here. I would say New York, Chicago, Los Angeles, San Francisco - all the important cities have an incredible elite, and this is very, very sincere, and based on experience. Also the written comments are not necessarily accurate, always, but they are good, well written, literate, and they associate very much with the music you have heard. Naturally, there are bad ones, as there are very good ones, but there are many, many more good. There is much more good writing about music in the United States in this moment than anywhere else in the world. BD: How much of this experience is based on performance, and how much of this experience is based on recordings? CS: These days, I begin to hear more recordings than I did earlier. I was always a great fan, or a great buff, of live music. I don't think if you go and you hear a real good orchestra, or you see opera in a real good theater, or a good ballet, that it's much more exciting than a recording, in spite of the fact that you have to move from home. Recordings disturb me when they change system. When they moved from the normal recording to long-playing discs, that didn't work well until later. Then when the stereophonic came, it happened again and they repeat the same works with the new way of recording. And now with digital, I arrive at the conclusion many times that the recording is done by the engineer more than the conductor. Many times, what we musicians call the guts of the music, certain themes which are supposed to be there only to make shapes and to improve the acoustic of the music when you write the score, now, in certain recordings, these are so inexpertly done that you cannot understand why the conductor did it because it was not the conductor, but rather the engineer. That doesn't speak very well about the engineers, but is the way I see it. Naturally, this is not the case in all the recordings. There are recordings that are superb. But there are many recordings where the jacket doesn't say who has done it, but I am afraid that no conductor of stature would have done that on the recording. It has been certainly someone with a great technical education, but less music education. There are themes in all the works that we write in the intestines, in the guts of the work as I said, that shouldn't come out, and they bring them out, I think, as a sign of originality, that was never the intention at all of the composer. I don't know how much you agree, but I am sincere. In the concert hall there is no tape. It is a conductor who organizes the thing, visibly, before everybody, but on the record you don't know. I repeat: don't misunderstand me. There are records that are superb, but not all. And it's very easy to confront that, because of the proliferation of the same work. Let's use as an example the Fifth Symphony by Tchaikovsky. Look at the Schwann catalog and you will see how many companies have issued it, and how many conductors have conducted that work. You will see that in many, there are things that are brought out from within, but they should not be obvious in the performance. I don't know if I am quite clear. That's quite difficult to say. BD: Are there some pieces which have been recorded too many times, really, for their own good? CS: Yes. Well, for their own good or not, but there is where you see which are the good ones and which are not the good ones. Of course, there are people who don't know, and who think that the wrong thing is the right thing. BD: Sure. When you were making recordings, did you conduct differently in the recording studio than you did in the concert hall? CS: [Without hesitation]: No. No. No. And I tried that the recordings would show, in the orchestra within the hall I was performing, the way I wanted, and the way I thought the work was. Then, as you know, they ask you to come to the little room to hear the playback. There I would decide if we needed to do it again or not. I always listened, and if it was OK in the hall but I would hear something different in the little room where the engineer is, it was something I had not done! I learned that there was this possibility. It would be another man turning the buttons, particularly in the case when there are many mikes. They put in the woodwind group a little more volume than in the strings, and those woods come above the strings, and they shouldn't, in that case, or vice versa. BD: Couldn't you then tell the engineer that this is not what you wanted? CS: Sure, sure, and it was immediately corrected! But now things don't seem to be correct in many of the records that are on the market. Maybe I talk too much about this. Someone may not like what I'm saying. BD: This is the opinion of an experienced musician, and that is what I am looking for. BD: I want to be sure and ask you about Iberia. CS: Oh, Iberia, yes. 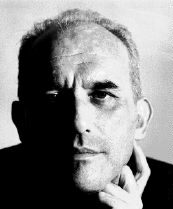 Enrique Fernández Arbós did five pieces of Iberia, and as Ormandy told me, "He picked up the best of the twelve, but he didn't know how to orchestrate so well as you." That's what Ormandy told me, and it may have been a compliment. So I did the other seven and I think they are all good. Of course there is one which is a touch of genius, and that is El Albaicín. This is an extraordinary piece, and this was done by Arbós. He also did Triana, and it is one of the best of the twelve. It is very difficult to orchestrate because it's written for the piano in a way of crossing one hand on the top of the other to make the [sings] "dee-da dee-da dee-da dee; dee-da dee-da dee-da dee" and things like trills with more than one note, for example. To give that to the orchestra, and to make it as similar as possible to the piano score is quite difficult. BD: More difficult than writing an original piece? CS: Oh, I think it's more difficult. When you write an original piece you are free! And there you are not free. You have to follow the ideas of Albéniz, or whoever, as much as you can. I don't think it was easy for Ravel to write the Pictures at an Exhibition. That's a masterpiece of orchestration. Many others have tried to do it, and none has done it as well as Ravel. BD: I assume that you are still pleased with your work with the Albéniz. CS: Oh, yes. Oh, yes. It's a very funny impression... When I hear them now, it looks to me that somebody else did it. That was done in 1953 or something like that. It's a lot of years, and in some ways you have forgotten that that was done by you. [Chuckles] But there it is. There it is. And it took me a year to do those seven pieces. BD: Would you ever want to re-orchestrate the ones that had already been done by Arbós? CS: [Without hesitation]: No. No. That would be to establish competition. It was a commission by the heirs of Albéniz, and they wanted me to write the ones that Arbós had not done, in order to have the entire suite for orchestra. That's the reason. Even that was a commission. BD: Is it something that you accepted willingly, or did you have to be persuaded? BD: Of course. We play those recordings quite often on the radio and they always draw a very fine response. CS: I am glad to hear that. 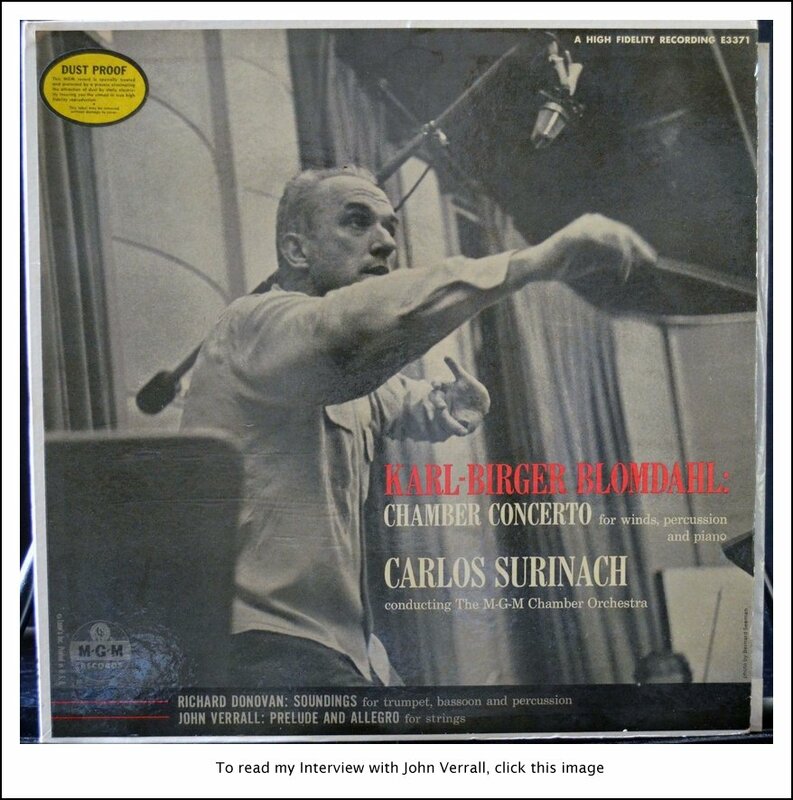 There have been three different recordings: one by Victor, with Morel and the Conservatoire; one by the Philadelphia Orchestra with Ormandy, and another one by Montilla done in Paris, with the Radio and TV Orchestra conducted by myself. Because those are all out of print, I wish that it would be done by somebody now, this moment. I don't mind who conducts. I wouldn't conduct now. But the pieces... you like to see them running. That's why you give me a great joy telling me that they are done upon your radio. Do you have others of my pieces? There is a ballet whose name is Blood Wedding, that has not been recorded yet and a violin concerto that has not been recorded. It was written to celebrate the 200th anniversary of Santa Barbara, in California, and it was premiered by Zvi Zeitlin. He has taken that behind the Iron Curtain in several countries not long ago, only about four years ago. He did it also in Pittsburgh. So that's not in your catalog. And there are a couple other pieces that Schirmer hasn't listed yet, but they don't record. BD: Are you basically pleased with the recordings which have been made of your music? CS: Yes. Sometimes there is a a little mistake here or there, and it's very, very annoying, because a mistake on a record is a thing that you hear and hear again. [Both chuckle] You cannot fix all the little mistakes... a hit of the timpani that is missing here or there, or an oboe that is doing a little more interval here or there than should, or whatever. When you see a little mistake on a record, you are not pleased about that. But in general I am very pleased with all my recordings. BD: Well, that's good. When a work is being given its premiere, are you there to oversee it? CS: I like to be there. CS: It depends. It depends who is the conductor, and how the piece is coming out. [Chuckles] I was recently in Orlando, Florida. I saw somewhere that Orlando was doing a piece of mine - one that had already been done many times - and since I was in Miami, I said, "I am going to drive there - it is about 200 miles - and give them a surprise, and be there. And it was absolutely divinely done without any objection of mine at all. Sometimes that happens. But that happens more when a work has been recorded, or when a work is known and has been done many times. CS: And with my recordings, many were contemporary pieces by the others. With the MGM orchestra, we began the session at 9 o'clock, and at noon you were obliged to have done 15 minutes of recorded music, all ready to go to print. If not, you were fired. [Chuckles] If you are not doing well in business they don't want you. If you record more than 15 minutes of music in three hours, the union fires you! If you record less, the company fires you. BD: That puts you under tremendous pressure! CS: Yes, there is a pressure against the other by both. It's a constant fight. BD: But you seem to have survived it all. CS: Yes, I survived all during about seven years. Some recordings were done in Los Angeles, because the purpose to do those recordings was to keep the MGM Orchestra busy when they had nothing to do for the movies. And the orchestra was superb. The orchestra in New York was also superb, but it was a pick-up orchestra. I would never mind. If they are good pick-ups, the orchestra in five minutes becomes the best established orchestra in the world. They were picked up from all orchestras, including the NBC, that was with Toscanini, so imagine that. CS: This is why we could do a piece of fifteen minutes in three hours, without having seen the piece - neither the musicians, and many times neither myself before. BD: You had not studied it either? CS: No, sometimes, the day before, they would give me a score that goes tomorrow! I would not sleep in the night, and go and record, and when the recording was finished by one o'clock in the afternoon, I would go straight to bed. Oh, that happened many times, particularly also in Los Angeles, because they sometimes discovered that the orchestra was not recording for the movies on the following day, and they wanted to avoid that. BD: I want to thank you for all of the insights that you have given me during this past hour. It has been fascinating speaking with you. CS: [Self-effacingly] Well, I hope you can use some of what we said. My English was not always easy. BD: [Laughs] It will be fine. Before we go, let me hear you pronounce your name, so that I get it right when I say it on the radio. CS: The real name is "Suriñach" [pronounces it "soo-ree-NYAHK"] with a til on the "n." But that doesn't exist anywhere because in France it was deleted. My first publisher was Max Eschig in Paris, and he said, "We are going to take off the til on the 'n'. The printers don't have it so it will not be in the papers and they will not write anything. It's better for you and for your career to eliminate the til on the 'n'." I was very young then. Suriñach is the same family of names of Armagnac, Cognac, Polignac. The orthography in French is done with a "g" and an "n." And Carlos is Carlos. BD: [Speaking it exactly as he just said it] Carlos Suriñach. CS: But you may not want to say that. You may say "Surinach," [soo-ree-NAHK] because it's the way everybody says. Only when I arrive in Spain and I see my name in a poster or somewhere, or in a program, I see the til on the "n." And of course they say, in Spain, "Suriñach." But even in South America, which is exactly the same language, they say "Surinach," because they have never seen it with the til on the "n."
BD: Well, which do you prefer? CS: Oh, it doesn't matter. CS: It doesn't matter. As far as it means me, [chuckles] it doesn't matter. You cannot go into these little things. BD: Well, no matter what, I thank you so much for being a composer. CS: Well, that's a very nice compliment, and I thank you for the interview, and for telling me what exactly you told me now. [Chuckles] But thank you very much for thinking of me, and for making the interview, and for thinking of my music. 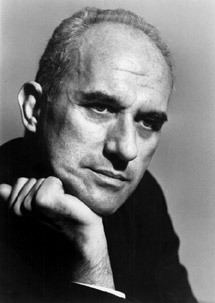 Born in Barcelona, Carlos Surinach was among this century's premier composers for the dance. His works combined the fiery imagery of his native Spain with the technical sophistication of his German musical education. Studies in composition at the Barcelona Conservatory were followed by advanced work at the Düsseldorf Conservatory, the Cologne Hochschule, and Berlin's Prussian Academy as well as at lecture-seminars under Strauss. He was conductor of the Barcelona Philharmonic and the orchestra of the Gran Teatro del Liceo before moving to the United States in 1951 where he gained renown as both composer and conductor. The Carlos Surinach Commissioning Program funds the creation of new works by former winners of the BMI Student Composer Awards. Established by a generous bequest from the late classical composer Carlos Surinach, the program identifies orchestras, chamber music groups and classical soloists with a strong record of performing contemporary music. For each commission, the selected performer or organization chooses a former BMI Student Composer Award-winning composer and premieres the commissioned work. The BMI Foundation has been most fortunate to have partners in this project such as the American Composers Orchestra, the Albany Symphony Orchestra and marimba virtuoso Makoto Nakura. By invitation only, no applications accepted. For more information, click here . This interview was held on the telephone on February 15, 1987, and portions were aired on WNIB (along with recordings) in 1990, 1995 and 2000. It was transcribed early in 2007, and posted on this website at that time.